These Fuel Packs will allow you to customize your gear load with enough containers for a quick ride or a week long ride. 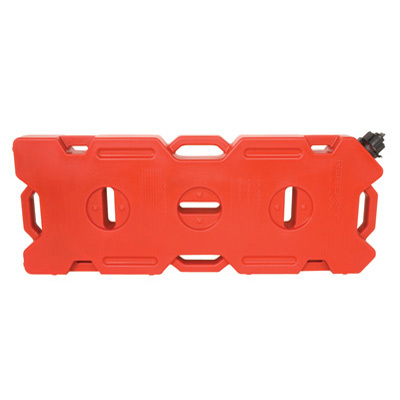 These are made in the USA, and are extremely durable. They are rotational molded containers that come in sizes from one to four gallons whichever works best for you. These can be mounted in nearly any orientation, including flat on its side, without leaking a drop! These can be secured using any common form of tie downs, or for the ultimate security check out the RotopaX Mounting Kit. 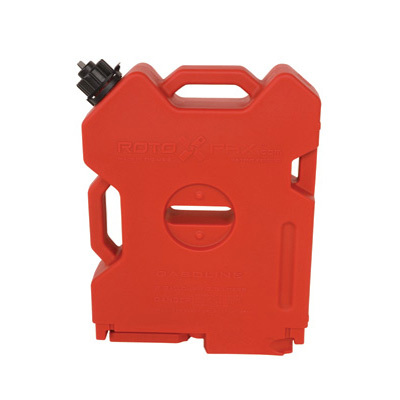 Upgrade your UTV with some of these RotopaX Fuel Packs today! - Our Fuel Packs normally ship out in one business day! - All container sizes are both EPA and CARB compliant. - Eco Spout included with all Fuel Packs sold in the USA. 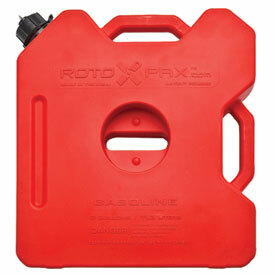 - Fuel Packs can be mounted flat, vertical, or horizontal. 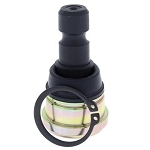 - With extra threads, thicker walls, and sure-seal gasket these are sure to not leak or vibrate loose. - Mounting Kit sold seperately. 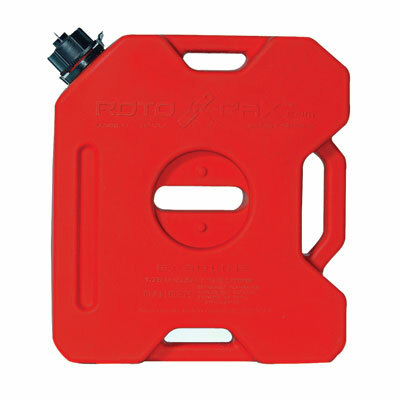 The RotopaX Pack Mount is the quickest and strongest way to mount your RotopaX. You can use with included base plate or remove plate to mount direct by bolting up through the bottom or down through the top. 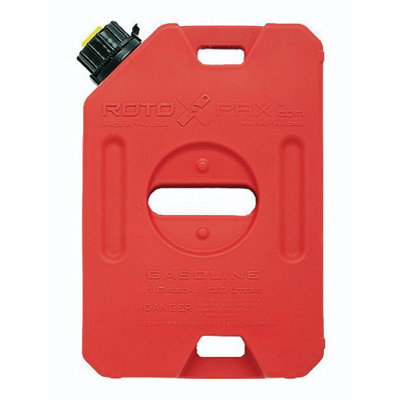 The RotopaX LOX is the same thing except for you have the ability to lock it so no one walks off with your Fuel Pack. The RotopaX Mount Extension allows you to mount multiple packs together on the same mount. Q: Does the cans come with a mount or is that extra? A: The mount is an option you can add on, it's sold separate from the can. You'll see it as an option on this product under where you select what size of can you want. Let us know if you have any other questions.